Investing is a topic that confounds many of us. The financial industry has taught us that investing is inherently complex, and we therefore need professionals to handle it for us. But it doesn't have to be this way! For those pursuing financial independence, almost everything you need to know about low-cost index investing can be found in JL Collins fantastic stock series, or better yet, his newly published book The Simple Path to Wealth. There's not much I can add to the discussion- these resources really are the best on the subject. Instead, my goal for this post is to create a concise investing reference that I can point my friends and family to when they ask me for investing advice. Do only this, he says, and you’ll wind up rich. It seems simple, yet so few people understand just how to invest effectively. Banks and shady financial advisors argue investing is a task best left to professionals, as they happily take your life savings and put it into numerous high cost actively managed funds that make them plenty of money, but not you! Perhaps you’ve tried to manage your own 401(k), but aren’t sure what investments to choose, or in what ratios? Let’s keep things simple as we demystify investing and review the most common mistakes. But first- are you sure you're ready to invest? Before you start investing, you need to get rid of your debt. This includes revolving credit card debt, student loans, car payments, etc. Mortgage debt is OK if the interest rates are low, but every other form of debt needs to be paid off. Remember: Your debt is an emergency!! The only exception is employer matching: if your employer offers 401(k) (or similar) matching, it's probably a good idea to contribute up to the match, even while repaying debt. With matching, you get free money while simultaneously lowering your tax bill at the end of the year. Once all of your debt is paid off, you should save some additional cash in a savings account. Commonly referred to as an emergency fund, this money is important because it is completely liquid and readily available. How much cash is enough? Popular recommendations call for three to six months of essential expenses to cover the bills in an emergency. This isn’t a bad idea, but remember the more dollars sitting in your bank account, the less dollars you have working for you. I keep about $10k handy in the bank that I don’t touch. I try to keep everything else invested, so my cash drag is low. Everyone's numbers will be different. The more you have in investments, the lower your cash position can become, since an emergency would constitute a smaller the percentage of your total portfolio. A bucket is a container for your investment dollars, such as a 401(k), IRA, or Brokerage account. These are just account types, like a checking vs. a savings account. They just hold the money. One or more investments are held within a bucket. 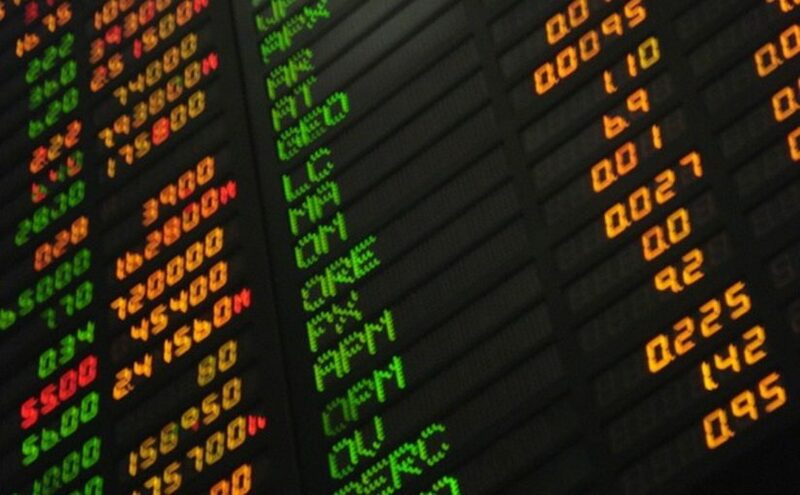 Investments include individual stocks & bonds, as well as mutual funds and Exchange Traded Funds (ETFs). The best buckets are tax sheltered. The specifics vary from country to country, but in the USA, examples include 401(k)s, Traditional and Roth IRAs, HSAs, TSPs, 403(b)s, and 457 plans. While the details of each account type vary, they all allow some form of tax benefit, such as tax-free growth or tax deferral. While tax sheltered accounts are preferred, most have contribution limits that prevent investors from contributing all of their investment dollars in these buckets alone. This is where taxable buckets such as brokerages come in. In a Taxable account, there are no contribution or withdrawal limitations, but you are taxed annually on both dividends and capital gains. Stock is a share of equity ownership in a company. It is a claim on a company's assets. When you purchase stock, you become an owner of that company, usually with the right to vote and a right to future profits. Bonds are a form of debt ownership in a company or government. When you purchase bonds, you become a creditor to that company or government. That entity owes you money and repays you according to the terms of the bond. From the point of view of a corporation, bonds (as well as notes and bills) are debt, while stock is equity. It is important to note that when assets are constrained, bondholders get paid before shareholders. This is why stocks are riskier than bonds, while also providing a higher return on investment. A mutual fund is a collection of stocks and bonds, usually combined according to a common theme. For example, a large cap fund holds stock of larger companies, while an income fund usually holds a large percentage of bonds. ETFs are Exchange Traded Funds, and are collections very similar to mutual funds. The difference is primarily the way in which they are traded; notably, mutual fund values change once daily, while ETF values change continuously throughout the day like an individual stock. Active funds are a collection of stocks, bonds, and other investments that are carefully chosen and managed by a team of people. These investment managers usually try to ‘beat the market' averages to give higher returns to investors. Passive funds, also known as index funds, are not actively managed by a team of people. They simply follow a known index, such as the S&P500. This keeps their expenses far lower than actively managed funds. Your portfolio is simply what you call your entire collection of investments across all of your buckets. Portfolio allocation describes the total balance of investment classes across your buckets. For example, if I have a $100,000 invested in a 401(k) with 50% stocks and 50% bonds, and I also have $100,000 invested in an IRA with 100% stocks, then my entire portfolio consists of $150,000 of stocks and $50,000 in bonds, with a total value of $200,000 and a stock / bond ratio of 75%/25%. Now that we have the basics down, we can discuss how to invest. But the topic of investing is enormous… where do we begin? And because everyone's situation is unique, how can I give advice that's applicable to a wide audience of potential investors? Let's use the Pareto Principle. Also known as the 80/20 rule, it states that in many domains, 80% of the effects come from 20% of the causes. Some examples: 20% of a company's customers generate 80% of their profits; 20% of the bugs in software create 80% of the crashes; etc. While more of a rule of thumb than a strict law, it comes in handy in describing cause and effect a number of fields. How does this apply to investing? You really don't need to become an expert investor! All you need to do is have a basic understanding of how investing works and avoid the most common pitfalls (the 20%), and you'll do better than the vast majority (the 80%) of the investors out there! It turns out, there's really only three major principles you need to follow to become an above average investor. Let's discuss each of these in more detail. Mad Fientist shows the power of tax sheltered accounts! Q: When you say ‘max out’, you mean just contribute as much as my employer will match, right? A: Wrong. I mean Max. It. Out. 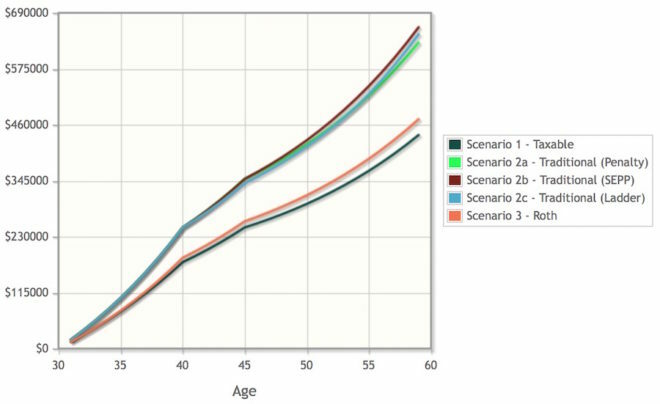 In the U.S., at the time of this writing (2017), you can contribute $18k to a 401(k), $5.5k to an IRA, and, if you qualify, $3.4k to an HSA each year. That’s $26.9k per person that can be tax sheltered. Even more if you own your own business. It's OK if don't have enough income to max them all out. But until you can, you shouldn’t put your money anywhere else. Q: My company doesn’t offer any match. 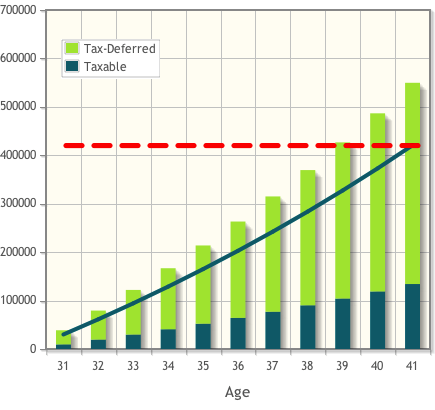 Should I still max out my 401(k) or similar tax sheltered account? A: Yes. The tax advantages over time are that valuable! Q: My company only offers a handful of investments and they all have high expense ratios. I should invest elsewhere, right? A: Wrong. Max it out anyway. The tax advantages almost always outweigh the expenses. See Addendum I on this JL Collins post for more details. Q: Won't I have to pay a penalty if I put all of my money into a 401(k) or similar and start withdrawals before traditional retirement age? A: Not necessarily. There are plenty of ways to get your money out while avoiding the one time 10% tax penalty. Additionally, even with the penalty, the tax advantages of these buckets still blow taxable investing out of the water. To the tune of hundreds of thousands of dollars over time. Q: Do I even have any tax advantaged accounts available to me? A: Yes. Most employers offer 401(k)s or similar accounts. If you don’t qualify, you can always contribute to an IRA. As of 2017, if you earn more than this limit, you may not be able to deduct your IRA contributions. In that case, you might contribute to a Roth IRA. If you earn more than this limit, you can’t contribute to Roth either, but, you can always go back to the traditional IRA with no deduction. Want to contribute even more to tax sheltered accounts? Other options to google are Backdoor Roth and Mega Backdoor Roth contributions (no guarantee these two options will last forever, though). Only after exhausting the above buckets should you consider contributing to taxable brokerage accounts, and even then, place your investments carefully. Keep bonds and REITs in tax sheltered accounts only, because they are not tax efficient. See this post for more details. Q: Is there a priority to these tax sheltered buckets? A: For simplicity, I like the idea of maxing out the 401(k) or similar account first. As of 2017, you can contribute up to $18k per year to it, and it lowers your taxable income saving you even more at tax time. Next, if you have access to a Health Savings Account, I recommend maxing that out. Mad Fientist considers this The Ultimate Retirement Account because of its unique features. I like it because it lowers my FICA tax expense every paycheck and leaves me with a sweet tax-free account for health costs in FI. Once you max these out, move on to the Traditional or Roth IRA buckets as appropriate given the limits described above. Q: So with tax sheltered buckets, I never pay any taxes? A: Not quite. You still pay taxes, just different kinds, and at different times, depending on the bucket. Without going into too much detail, the gist is that almost all tax sheltered buckets grow tax-free, so you'll have no dividend or capital gains taxes due when you rebalance your 401(k), for example. 401(k)s and IRAs defer taxes until you withdraw, when it is then taxed as regular income. Roth 401(k)s and Roth IRAs, on the other hand, are funded with already taxed money, so they are not taxed again on withdrawal. Health Savings Accounts are like the best of a traditional and Roth IRA combined: no taxes going in, tax free growth, and no taxes on withdrawal for qualified health expenses. To contrast these, regular taxable brokerage accounts offer no tax savings. They are funded with already taxed money, and realized capital gains and dividends are taxed every year. The good news is many early retirees have annual expenses low enough to be in the sweet spot for the 0% capital gains tax rate! Q: Couldn’t I get to FI quicker by leveraging my money in the real estate market instead of stock market investing? A: Possibly, yes. But leveraging is not without risk. Additionally, the real estate market is not as simple and passive as the stock market. It requires more of your time and energy, which is a trade-off. If you enjoy it, and are handy, than yes, real estate can jump-start your path to financial independence. But when you are going through an eviction with a tenant who owes three months of rent, as I happen to be, it changes your perspective a bit. Personally, I would only pursue real estate and other investment opportunities after maxing out your tax sheltered accounts. The 10% early withdrawal penalty doesn't look that bad, does it? This doesn’t even take into consideration the benefit to you at tax time while you are employed. Most of your contributions to tax advantaged buckets come right off the top of your taxable income, lowering your tax bill and giving you even more money available to invest! The very first year my wife and I maxed out our 401(k), we saved over $3k in taxes. Everyone talks about the benefits of mortgage interest at tax time- but maxing out your 401(k) is so much better because you get to keep the money! It is your choice: pay Uncle Sam, or pay yourself. Which will you choose? Now, I do have a few friends who are tax professionals that can probably whip up some specific scenarios where it might make sense to put more money into taxable accounts instead of tax sheltered, say, to claim losses to offset other possible gains in specific tax years. But these are not common scenarios, and probably only involve higher earners. As a rule of thumb, you won't go wrong maxing out tax sheltered accounts first and foremost. Q: I thought having a diversified portfolio was important. Why only two funds?? A: You are talking about unsystematic risk, which is true for individual stock holdings (say, TSLA, for example), but not for broad based index funds. The funds shown above are total market funds: these hold a piece of every company in the united states. The total bond market fund does the same for bonds. Because these funds are already diversified, all that is left to choose is your stock / bond ratio. Q: How do I choose a stock / bond ratio? A: I have 90/10 in the example above. Later in life, I might pick a more conservative 80/20 or 70/30. I recommend never going below 50% stocks, because the 4% rule starts to fall apart with too high an allocation of lower earning bonds. Q: Where’s the International, REITs, Commodities, Gold, BitCoins, etc. A: Here's that Pareto principle in action again. The two funds I recommend give you the 80% of the return (or significantly more according to JL Collins) with 20% of the effort. S&P 500 already has international exposure and REITs baked right in. You can add standalone International and REIT funds if you want, but there is a point of diminishing returns. Q: Could I get even simpler and just have one global fund that does stocks and bonds? A: Yes. If you are willing to accept some slightly higher expense ratios, Vanguard offers many unique funds that do just this. Check out their Target Retirement funds, LifeStrategy funds, Balanced fund and Managed Payout fund (just remember not to select a fund whose stocks are less than 50% if you want to follow the 4% withdrawal rule). A nice benefit of these funds is that they automatically rebalance for you every year, so you don’t need to do it manually. Q: Speaking of rebalancing- isn’t it difficult/time consuming/expensive? A: No. Once a year, you look at how much your money has strayed from your desired allocations. Let’s say you have $100k in your portfolio, and you want $80k in stocks and $20k in bonds. After one year, stocks did well and bonds didn’t, so you have drifted to $85k stocks and $15k bonds. You just want to sell $5k of your stock mutual fund and buy $5k of your bond mutual fund. I made the numbers overly simple but you get the idea. Ever hear of ‘buy low, sell high’? Rebalancing is the mechanism that accomplishes this. If you are in a tax sheltered account, no taxes on the sale. If you aren’t, you’ll pay capital gains tax on just the earnings. Q: Index funds only provide average returns. Don’t you want to beat the market? A: No. No one really beats the market consistently over the long term. Many theories and books have shown this. I am happy to take my 7% after inflation long term market average. JL Collins often says to ask yourself the following question: Are you Warren Buffet? No? Than don’t try to beat the market. Not to mention: Actively managed funds cost a fortune in fees. Compare popular actively managed funds with average expense ratios of 1.5 to Vanguard's total market index fund VTSAX with expense ratio of 0.05. The index fund will save you $1,450 in fees per year, per hundred thousand dollars invested. That’s like an additional 1.45% return! If you think in terms of the 4% rule, this is like saving over a quarter of your annual expenses per year in F.I. Index funds have the lowest expense ratios because they are completely passive and follow a market index. Q: What’s with the Vanguard exclusivity? Do you work for them? Do you get a kickback recommending their products? A: No! I recommend them because their funds have the absolute lowest expense ratios in the industry. And they always will because of their unique corporate structure: Vanguard is owned by their own funds, and, as a result, is owned by the investors in those funds. This means that there’s no upper management or shareholders to earn a profit for. They operate at cost and as such, the expense ratios are lower. They also invented and offered the very first index fund in 1975. This was the genius of Jack Bogle. Don’t have Vanguard available in your 401(k)? Follow this rule of thumb: Choose total market funds that have expense ratios less than 0.25. Simply sort your investment choices by expense ratio, and the cheapest ones will be your index funds. Funny how the best option is also the least expensive? As soon as you quit your job, roll that 401(k) over to an IRA at Vanguard. It’s easy and you can do it entirely online. Q: What about Betterment, WealthFront, other robo investors, etc.? A: These are interesting options, but they have higher expense ratios than buying individual index funds. MMM and the Mad Fientist both make the case that Betterment's tax loss harvesting pays for itself, but this also depends on the stage of investing you are in. If you are a high income earner who is already investing in a taxable brokerage, the tax savings may make sense for you. If you are already FI and are in a 0% capital gains bracket, however, you actually want to harvest capital gains, not losses, so you can increase your basis to offset future potential gains. Feel free to explore these options, but if you just want to keep it simple, stick to basic index funds. As an investor pursuing FI, you are in this for the long haul. You want your money to last forever. That means you do not care about the day to day fluctuations of the market, or as JL Collins likes to describe it, the ratio of the beer to the foam. On your journey, over the short term, your investments will lose money. I guarantee it. But over the long term, they will continue to climb upward, providing the engine to the money printing machine that you can leave to your children, should you so choose. The most important thing you can do for your portfolio, once it is set, is leave it alone. Another huge recession? Leave it alone. Another dot com bust, with stocks dropping 30%+? Leave it alone. Another 2008 real estate bubble burst? LEAVE. IT. ALONE. It won't be easy. Friends and family will be selling their shares, to ‘get out while they still can'. These same friends will also miss the bulk of the recovery and buy back in too late. They sold low and bought high. They will not be enjoying the 7% return over the long term that you will. You just have to sit back and ride the wave. So what's the takeaway today? 3. Leave your portfolio alone and let it grow! Sounds simple because it is. Follow these principles and you'll enjoy better returns than the majority of those investing in the market! But what if you want something… even simpler? We'll discuss this and more… on the next Financial 180. Where to begin… you can and will lose money in the market in the short term. Past performance does not guarantee future results. Money you invest is never FDIC insured. I am not a tax professional. I am not a certified financial planner. These are simply my opinions and observations after significant reading on the subject and my own investing experiences. However, the advice discussed here is the same advice I give my family and friends, and I stand behind it. Note that everyone's situation is unique and it is impossible to give the best possible information without discussing the specifics of your situation. This post is generalizing to give the maximum benefit to the largest audience possible. I do not get paid if you choose any of the options discussed in this post. I write this stuff because I am passionate about it (and because I want a place to point friends and family to when they repeatedly ask me for the same advice on these things)! Oh awesome, I’ve been looking for something like this! We’re still neck-deep in our debt repayment leg of our FIRE journey, but I’m trying to get more educated about investing. This is an excellent overview. Thanks! Glad to hear you enjoyed the post! Definitely check out a copy of “The Simple Path To Wealth” from your library if you haven’t already. Something to consider: if your employer offers 401(k) (or similar) matching, it may be a good idea to contribute up to the match, even while you are repaying your debt. You’d be getting free match money while simultaneously lowering your tax bill at the end of the year! I’ll add this detail to the post. Great post and great advice! Your simple portfolio is solid advice and making me double think about what I am doing. I currently have too many accounts invested in too many different things right now and I am working on deciding where/how to consolidate. It gets tricky though since a lot of money I have is in taxable accounts and I want to minimize my realization of capital gains now and wait to do that when I am in the 0% bracket after retirement, like you suggested. One possibility is to set your 401(k) contributions as high as your employer will let you (50% – 75%) so your paychecks are tiny, then start selling whatever taxable funds you have that are either at a loss or have small gains to make up the difference. Do that for as long as possible, draining the taxables while simultaneously building up your tax sheltered. Most 401(k) providers will either stop you when you hit the $18k, or automatically switch the contribution to after tax for you. Of course if all of your taxable accounts contain high capital gains, you may not want to sell… but then again… that’s a champagne problem! Also, thanks for referencing that articles about the mega back door roth via after-tax 401k contributions. I had never heard of that before but unfortunately but 401k provider doesn’t offer the required services. Yeah the mega backdoor is super interesting! Your provider doesn’t let you make after tax 401(k) contributions? Or is there some other catch? A good rule of thumb is to look for the funds with the lowest expense ratios. If it’s under 0.1, it’s likely a passive index fund. As for total stock or bond market, read the objective of the fund in the overview section. For example, if it says “Seeks to match the performance of the S&P 500 Index”, that indicates a stock market fund, while “Seeks to match the total return of the Bloomberg Barclays Aggregate Bond Index” indicates a bond market fund. Previous Previous post: How Long Will You Work?